The Big Beaver is a great solution for remote locations. The size of the Big Beaver allows for easy access through doorways, gates and can be operated under eaves or indoors. 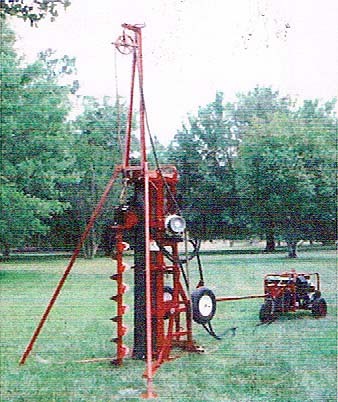 The Big Beaver is equipped with a cathead and drop hammer making soil sampling fast and convenient. 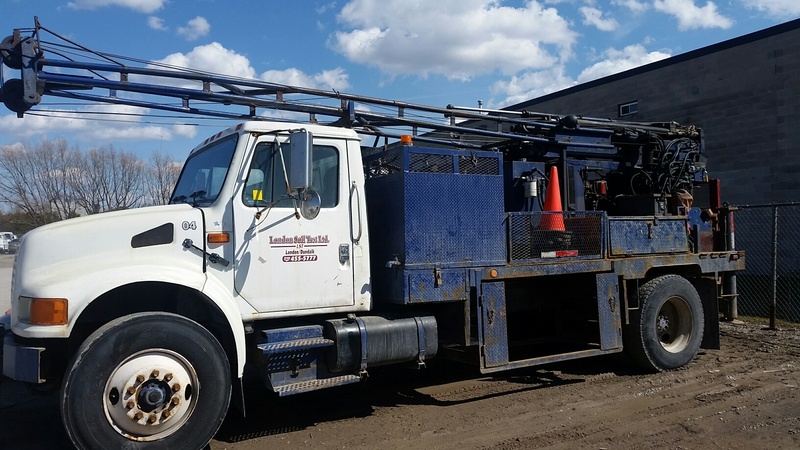 The hydraulic power source is oil cooled with a large fuel tank for dependable all day operation. 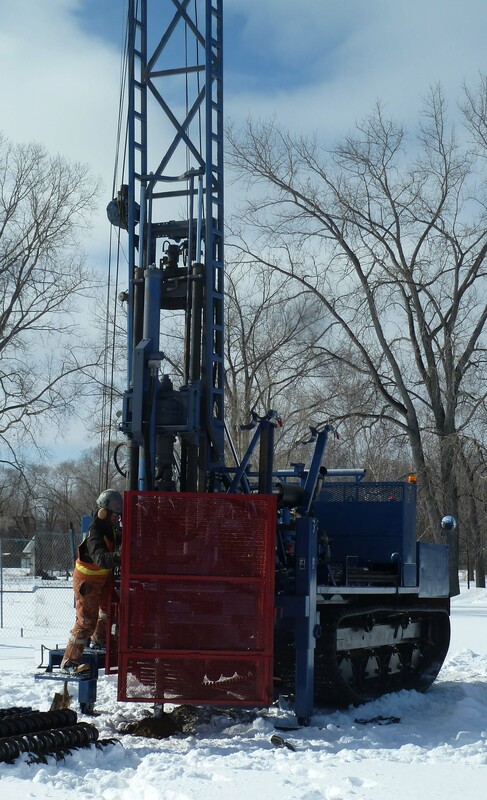 The Beavers power source can be located away from the drill which allows for clean air and quite work area. 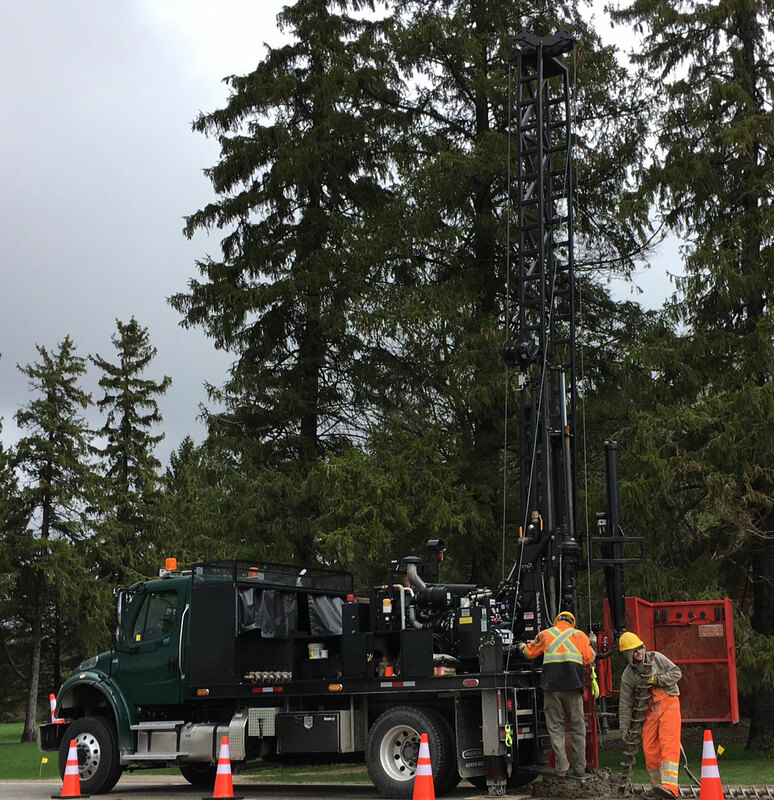 The Big Beaver can be used with hollow stem augers for ease of drilling, standard penetration testing, and installation of environmental test wells. Ideal for holes 30' or less. 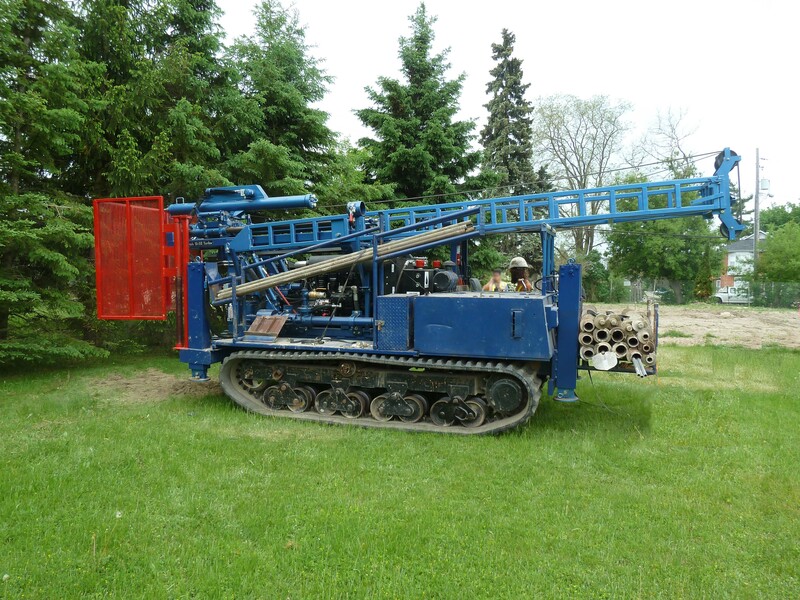 Height 80" X Length 48" X Width 26"
The Geoprobe 7822DT is a high capacity direct push machine that also can also provide conventional augering. 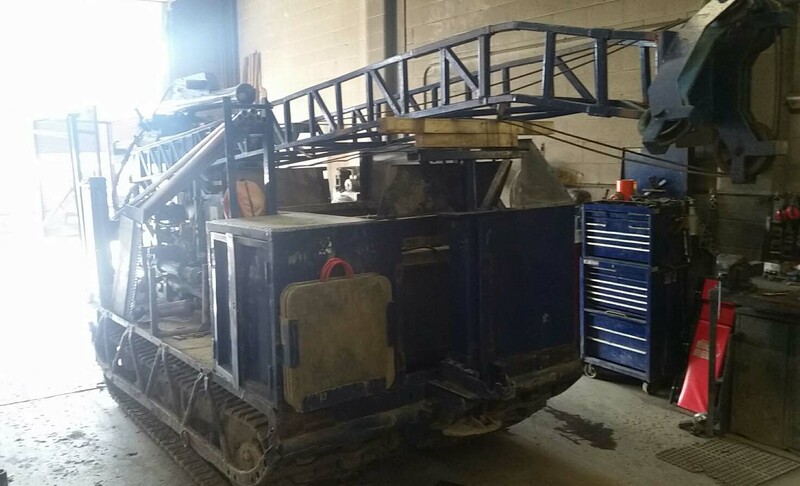 This machine is ideal for limited access areas and offers easy maneuverability. 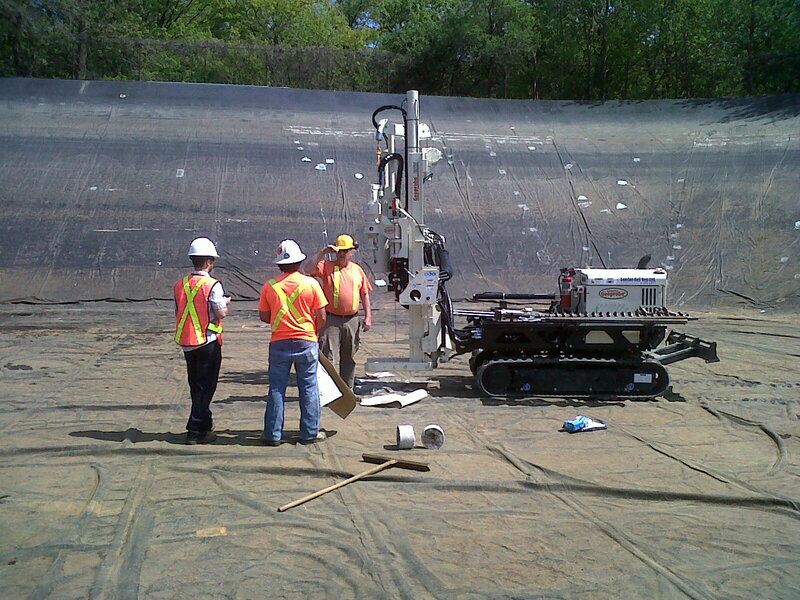 The Geoprobe 7822DT is a great choice for Environmental, Geotechnical, and Exploration work. 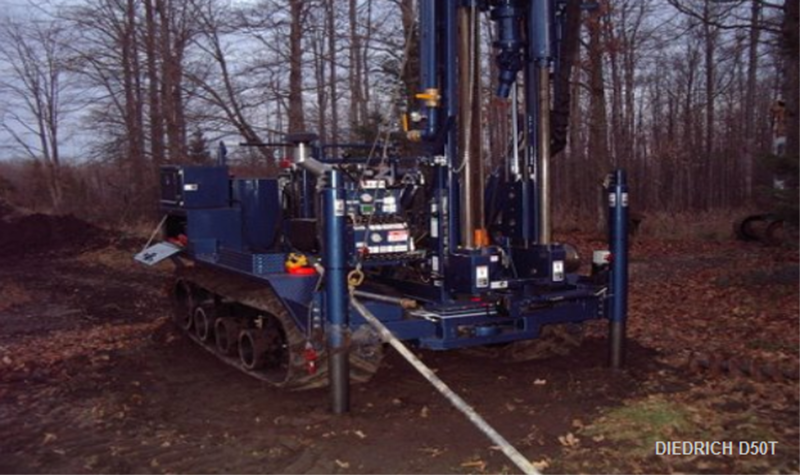 The Geoprobe offers a 60" Direct Push using the Macro or Duel Tube system. 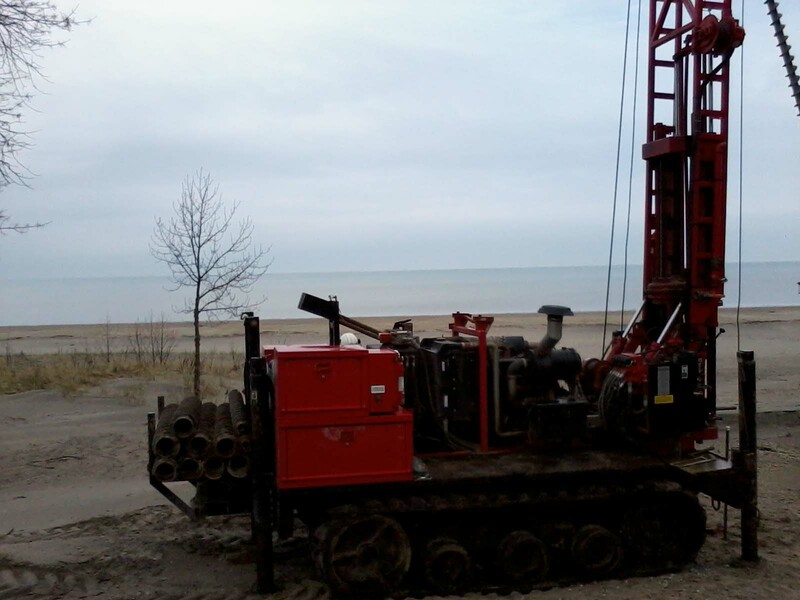 The Geoprobe is also equipped with an Auto Hammer for SPT and can drill using various sizes of Hollow Stem Augers. Unfolded - Length 168" X Width 64" X Height 187"
Folded - Length 133" X Width 64" X Height 100"
Steel track can grip in to the ground to keep traction.